As we all know, Halloween costumes for kids have really deteriorated - in every sense of the word - in recent years. I've complained about the sexualizing of costumes for girls ever since I bought my then 3-year-old a scarecrow outfit in a bag from Wal-Mart only to get it home and find out it was pageant-worthy (and I don't mean that in the good way). Not to be outdone by the inappropriateness of the scarecrow choice, her older sister chose to be a Blood Ninja that year. My 2009 blog rant about girls costumes got me an email from a reporter at The New York Post when Halloween came around the next year. She interviewed me and used my quotes in her article Would you let your child trick or treat in this? In addition to getting the chance to share my thoughts on the inappropriate scarecrow costume it was also the welcome first evidence that anyone ever read my blog. Last year I was happy to see others also sharing my disdain for the costume options for us ladies. The Bloggess shared some seriously scary stuff for grown-ups at Skanky-Ween. and Scary Mommy got right to the point with Dress Your Daughter Like a Whore Day! 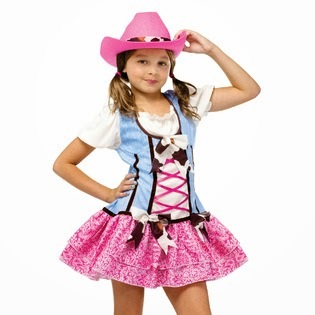 And this cowgirl, look at her! Is nothing sacred, Sears? The thought of my son wearing these costumes sends the same chills down my spine as does the thought of my daughter choosing from one of the crappy options for girls. So tell me if these are the worst ideas for kids Halloween costumes, what are some of the best ideas? This is the fourth post in my Week of Halloween, for all the posts click here. My daughter likes anything with a tu-tu. Last year she was a duck her way. Yellow tu-tu with orange highlights, yellow leggings and shirt, duck feet, duck bill and hair done up with yellow feathers. Before that Cheshire Cat. Pink and purple tu-tu, pink and darker pink striped leggings and top, Cheshire Cat mask. Not much work to make them and worth it because it's not innapropriate. 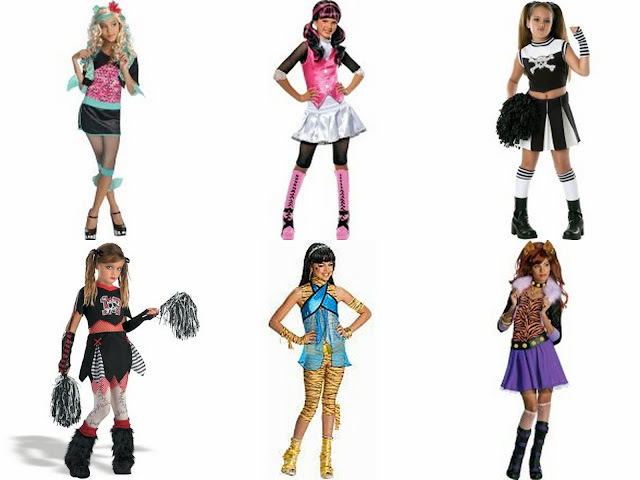 What is even sadder is that two of those costumes are from a franchise of dolls dressed up to look like that. Little girls will play with them and hence the costumes, will want to emulate them. My daughter is very much into Adventure Time, which is a show where thankfully none of the female characters dress like anything from Monster High. She has decided to go as the very normal in how she dresses vampire, Marceline. I'm 13 and it drives my nuts when I can't find a modest costume so I tend to make my own. Last year I cut a pair of my jeans to knee length and put on patches from homespun fabric then grabs a long sleeve button down shirt put on some patches grabbed my rainbow tights and put them on. Then went to my mom with a wire hanger and fit it to my head and had her braid my hair around it and was pipi longstocking I got the most comments on my costume I have ever gotten. Plus it was fun and I have red hair to match! I have an 8yo that wants to be MAck form Teen Beach movie. I Googled it and the only available costume is the slutty biker chick with the half shirt and Olivia Newton John pants. We are buying an orange sundress and she'll be going at the beachy version, which, although you'd expect more skin on the beach, is more covered up. My 6-year old wanted to be Cat Woman. Skin tight costume? Why? Her brother is always some superhero. I'm content to let her wear a diy -- a striped top with black leggings and black ballet flats. Don on some cat ears. I think that'll be purrfect. She'll still look cute, no provocative. Every slutty costume for girls is The Worst. Ugh! This makes me sick to my stomach. Why?? Why do we have to sexualize little girls?! I love you. 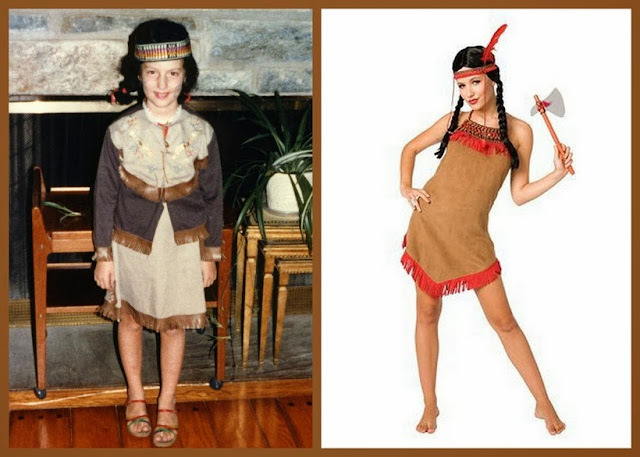 That is basically all, except can you come here and be my family's personal Halloween costume consultant?? For some reason, I'm just in love with the line, "Is nothing sacred, Sears?" 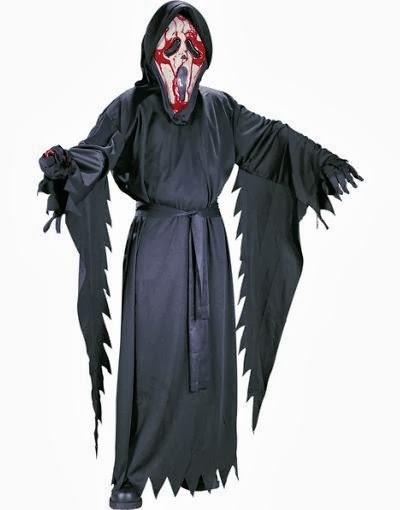 Looking over these costumes makes me glad I didn't have any girls after all. Kids are really cute even with scary costumes but I'd rather suggest making the costumes for your kids than buying your child one. In that way you could interact with your kid and he/she could even give his own halloween costume ideas and suggest what he/she wants for Halloween. Easy Halloween Hairstyle - Just Add Spiders!